Have you ever created a beautiful anchor chart that your students were in awe of for a whole…30 seconds? I’m going to guess that if your students are like my students, they only referred back to that anchor chart with coaching or reminders from you. This scenario with charts is one I know all too well. Although I’ve known what anchor charts are, the world of Pinterest and other social media platforms has somehow warped the vision and definition of what a true anchor chart is. 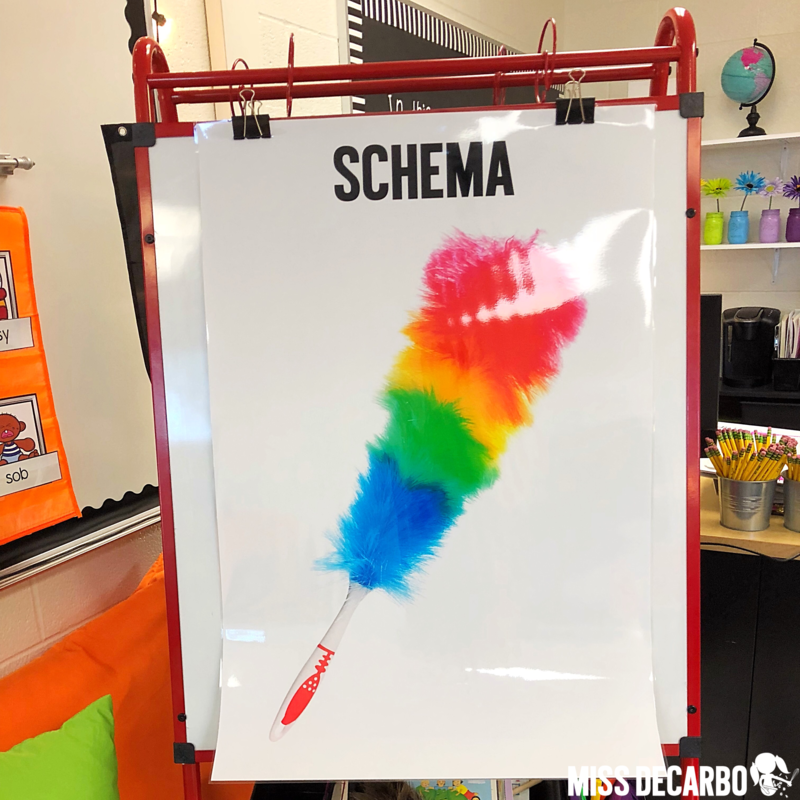 As I sat scrolling through my Pinterest search for “setting and character anchor charts” this summer, I couldn’t help but realize that the majority of charts were ones that were made by the TEACHER. Yes, they were beautiful and visually appealing, but the label “anchor chart” made me cringe a bit! 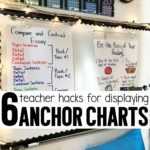 I decided to dig deeper into the world of anchor charts and really familiarize myself with what they are, what they are NOT, how I can better use them, and how I can help other teachers realize the difference between a true anchor chart and the many, many “reference posters” that I see in our social media world of education. I would like to thank Advancement Courses for sponsoring this blog post! I had the privilege of taking a professional development class from Advancement Courses in exchange for my honest review of the website and course. My review, opinions, and thoughts are entirely my own, and I only share reviews of products and services that I genuinely use and find effective! I hope you enjoy this blog post! Umm…what?! A course entirely dedicated to anchor charts in the classroom?! YES, PLEASE! Sign.me.up. The course I took is from an online educational platform called Advancement Courses. The website contains over 200 professional development courses for K-12 teachers. Their online catalog includes courses on everything from cultivating a growth mindset to courses for guidance counselors, PBIS, STEAM, the teenage brain, and so much more! If you’re an avid follower of my blog, you know I only give mega shout outs to resources and platforms that I truly find to be helpful and applicable to both your teaching life and my own. 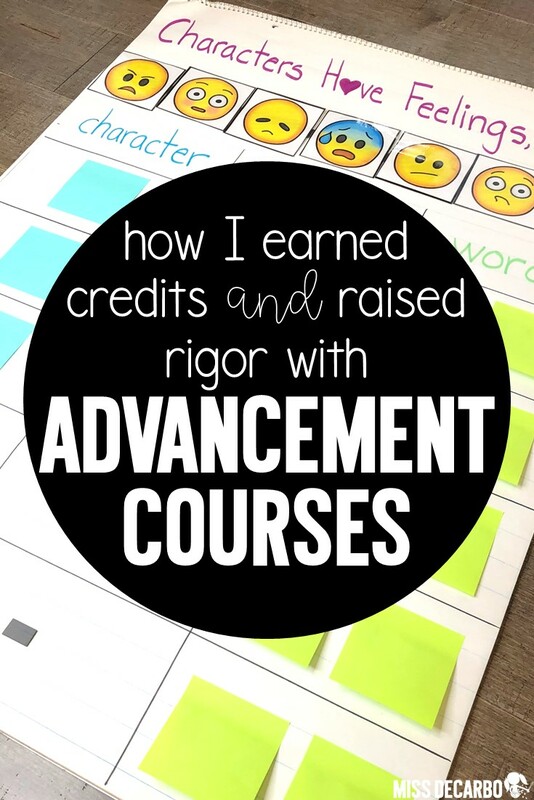 Advancement Courses was extremely convenient in helping me to acquire credits for my license renewal, and because I know many of you need to do the same from time to time, I want to share a little about my experience with the course before I dive into the freebies and our topic of anchor charts today. As a full-time teacher, I’m looking for professional development that is applicable and practical. So often, I’ve attended PD workshops and taken courses that sound ideal but implementing it into my daily lesson plans ends up being far from realistic. Throughout this anchor chart course, I couldn’t help but realize that the course was created FOR teachers, BY teachers. One of my first assignments was to create and design an anchor chart that would help students with a routine or procedure in our room. I simply created an anchor chart for our morning tubs and submitted it as my assignment. The beautiful part of that? I genuinely NEEDED an anchor chart outline for our morning tubs. 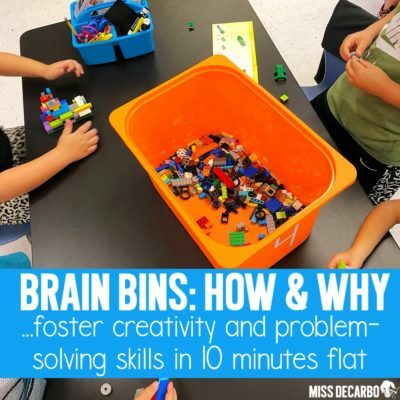 It was a practical, necessary, and helpful assignment that I could instantly utilize with my kids. I call that a #win for sure! The flexibility was perhaps my favorite part of the course. Unlike the courses I took for my master’s classes, I could truly work at my own pace during the Anchor Chart course. There was no hard deadline for any of the assignment. I simply had six months to go through the five modules in the course. Our family went on vacation for one week and I didn’t even log in to my Advancement Courses account. I was truly able to work on the course when it best met my needs and free time. This is GOLD for full-time teachers! The course is student-focused. The research articles, videos, and course content are designed to improve student achievement and student learning within the classroom. The readings and videos for each module focus on real classrooms, real students, and real teachers. 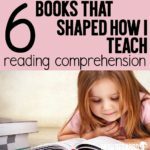 The reading and video content include everything from research-based articles, to blog posts by genuine classroom teachers, to model video lessons of teachers utilizing interactive anchor charts in their classroom. I also find the course to be very teacher-friendly. For someone who completed her master’s degree quite a while ago, I find the online platform for Advancement Courses to be super easy to use and navigate. Everything I need is right there at my fingertips. I didn’t have to order books or wait for materials to arrive. I can simply click on the links and started learning! The cost was also a big benefit. I was able to choose from several accredited universities for graduate-level semester hours of credits. I find the cost for these credits to be competitive and affordable when I compare it to other online course platforms that I looked at. The assignments did not take me very long to complete, and my final project is something I can use year after year in my classroom! Now that you know about my experience with the Anchor Charts course, I want to share with you what I LEARNED in the course! Let’s dive into my key takeaways from the course and what I think is an IMPORTANT topic for all teachers to know about: anchor charts! Specifically, we need to address what an anchor chart IS and what an anchor chart IS NOT. Shari Frost from Choice Literacy defines an anchor chart as a tool to facilitate student learning and support independence. Your charts don’t need to be perfect, just thoughtful. You don’t even need to be able to draw. Just put the child before the chart. Just put the child before the chart. This was my key takeaway as I scroll through Pinterest and my Instagram feed. I see so many beautiful charts, but it looks like the students never touch them or are involved in the creation of the charts. Charts in which the students do not have any part of are not called anchor charts, my friends. These are called posters. Are posters okay to use in the classroom? YES! They help remind students of essential learning. I do not think, however, that posters are as effective as anchor charts built WITH students. An anchor chart anchors student learning. In order to do that, your students need to be a part of the process! When that happens, memory, motivation, and rigor in student thinking increase. It’s time, my friends, to correctly label the tools we are using in the classroom. 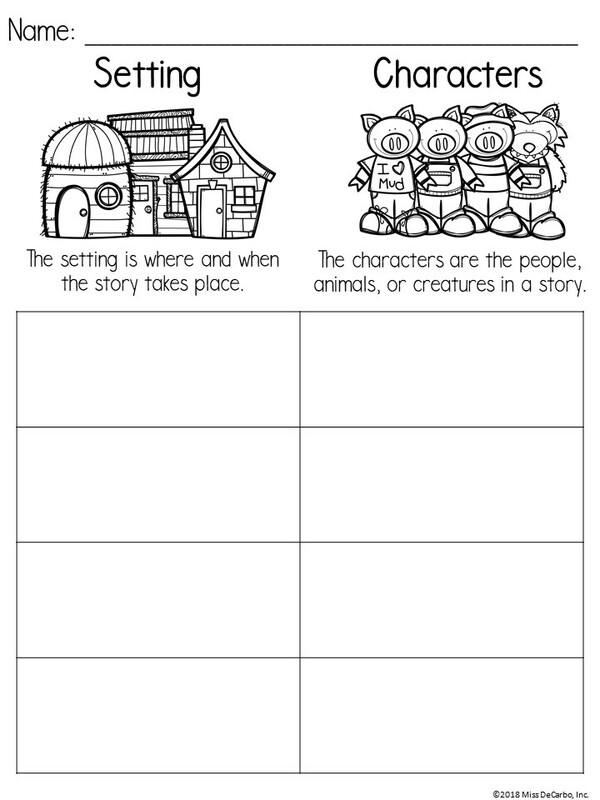 Since I can’t draw to save my life, I used clip art on the chart above to help my students identify an example and visual reminder of what a setting is and what characters are. Then, I had my STUDENTS help me draw the setting and characters for each book we read throughout the week. This was far more meaningful than if I had simply written down the setting and characters for each book myself. My students now OWN this anchor chart. It is THEIR chart, not MY poster. It’s clear that the teacher created and designed the chart above. I would not call this an anchor chart because I created this entire chart prior to my lesson with the students- not during my lesson and not with my students. This chart is what I would call a poster instead of an anchor chart. It comes from my Back to School pack and it is a visual reminder of what students should look like and sound like while they are in the hallways. Let me be very clear that learning posters are not at all negative or ineffective in the classroom. I have many in my room and my students benefit from these posters. However, I’ve learned that when it comes to concepts, skills, or content that is difficult, new, or critical, creating the chart WITH my students helps them remember and understand on a deeper level than what a poster can do. The great part about posters is how easy it is to turn them into anchor charts! 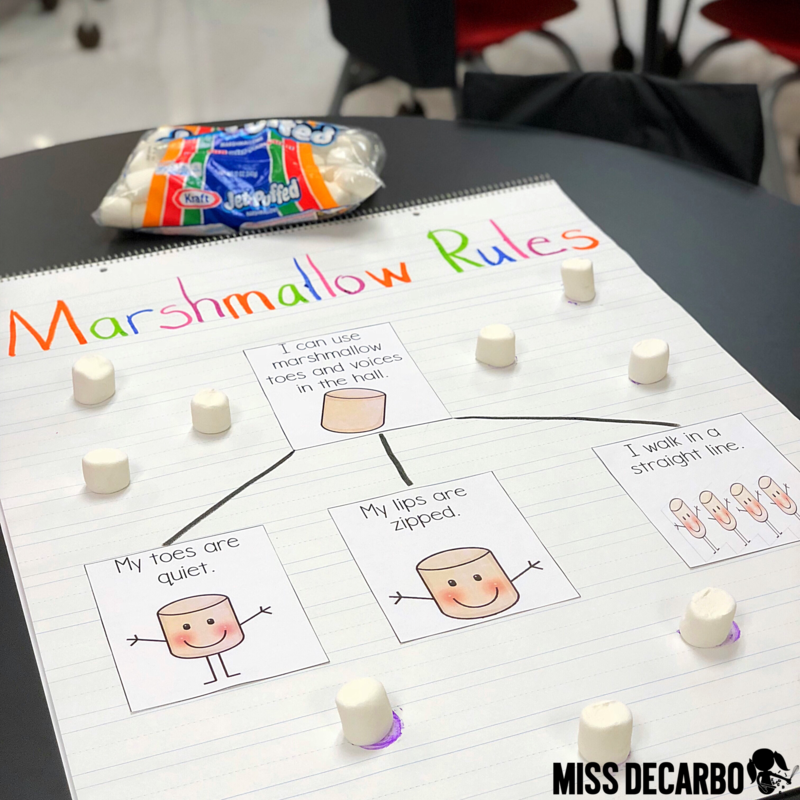 For example, I can easily turn my marshmallow poster into an anchor chart by creating it with my students while we are learning and discussing the expectations. I could have them draw pictures of what they will look like in the hallways directly onto the chart. Another option would have been to take photographs of my students showing each behavior above and gluing them to the chart. 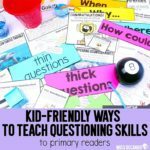 Remember, anchor charts do not have to be fancy or perfect – they just have to involve KIDS! Does Your Anchor Chart Pass This Test? Throughout my learning with Advancement Courses Anchor Chart course, we studied the various characteristics that a quality anchor chart should possess. Page two of this sample from Marjorie Martinelli and Kristine Mraz’s book, Smarter Charts , has a beautiful visual of the anatomy of a model anchor chart. As part of my coursework, I created a simple to use, “no fluff” checklist teachers can refer to and use when planning, prepping and setting up anchor charts for the classroom. Now that we know what an anchor chart, what an anchor chart is not, and the key characteristics to include on our anchor chart, let’s talk about getting the most mileage out of the anchor charts you use with your students! Making your anchor charts reusable is important for several reasons. First, it maximizes your time so that you are not re-creating anchor charts over and over again every year. Second, it allows your students to directly interact with the anchor chart. Lastly, it keeps your lesson plans flexible because you are able to use the same chart for different books, concepts, skills, and content. 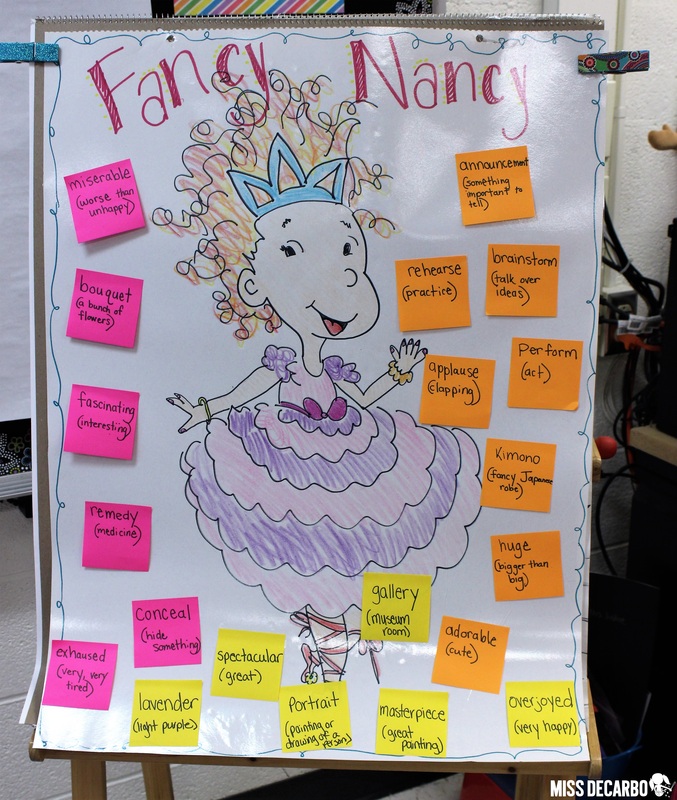 Let’s use my Fancy Nancy anchor chart below as an example. We used this chart during our mini-lessons on interesting vocabulary words. Every day, we read a new Fancy Nancy book and the students decided on interesting words they wanted to be added to the chart. By laminating the anchor chart, I am now able to write directly onto the chart using a dry-erase marker. I can wipe off the words and definitions after we are done referring to the chart, and re-use it the next year. I can also simply use sticky notes to add to the chart! After taking this course, I will go a step further and make sure the students are the ones writing and drawing on the sticky notes that we add to our chart! Giving students a sense of ownership of the anchor chart is vital for maximum effectiveness! Your students should know that the work and the charts that cover the walls of their classroom is their own. I’m going to guess that there is at least something on your classroom walls that your students don’t really look at all day. Maybe they don’t even notice that it’s there, or they don’t seem to care. 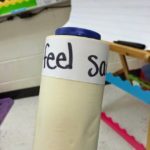 Part of this uninterest in classroom resources or wall resources is because students do not feel a connection to them. You can change this feeling by making your anchor charts interactive. Involve students in the process of creating anchor charts. Photographs of your students are an EASY and EXCITING way to add ownership and meaning to your anchor charts! Your students will adore seeing themselves on the walls of your classroom and they will be so proud to take center-stage on your charts. For my course project, I created an anchor chart to teach my students about emotions (see photograph below). This was a pre-requisite lesson that we went over prior to digging into character emotions and traits. 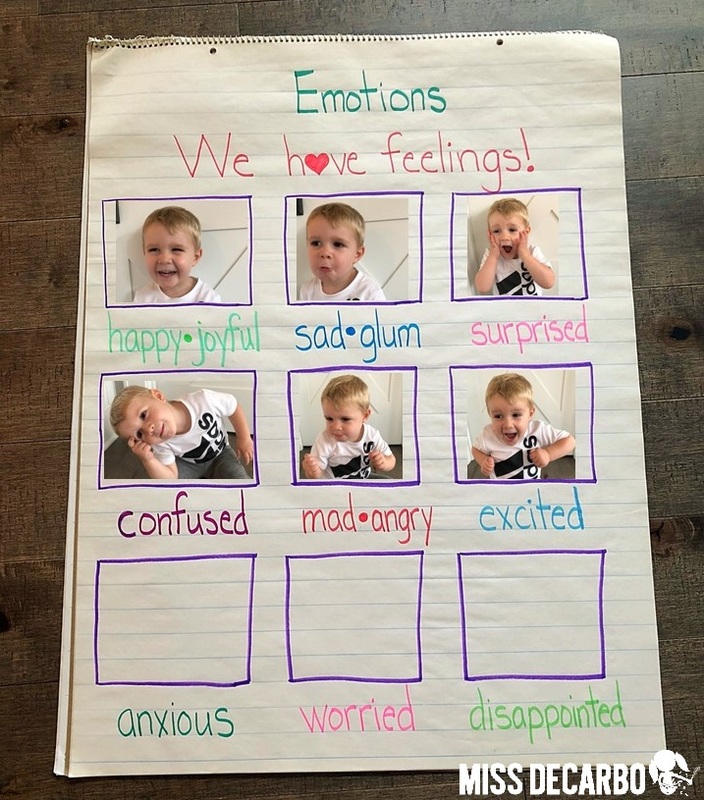 Since I do not show photographs of student faces on my blog, I had my sweet 2.5-year-old son, Sawyer, act out emotions for our chart. In the classroom, you can have your students show what each emotion looks like and add their pictures to the chart. 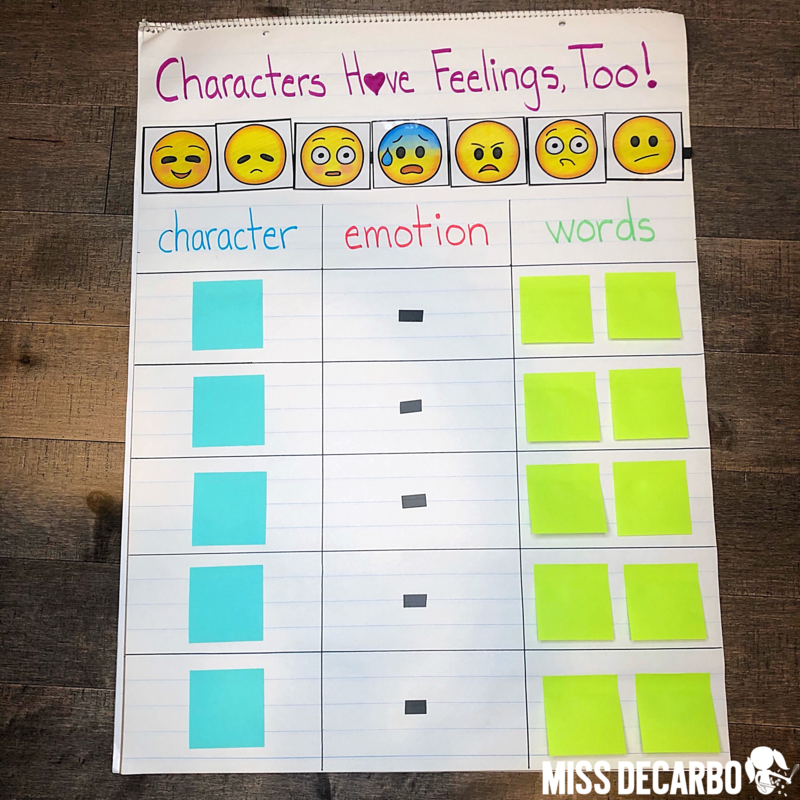 I promise you it is a sure-fire way to get your kids to remember and utilize this anchor chart on emotions! Next, we focused our attention on the characters’ emotions in the books we read aloud as a class. 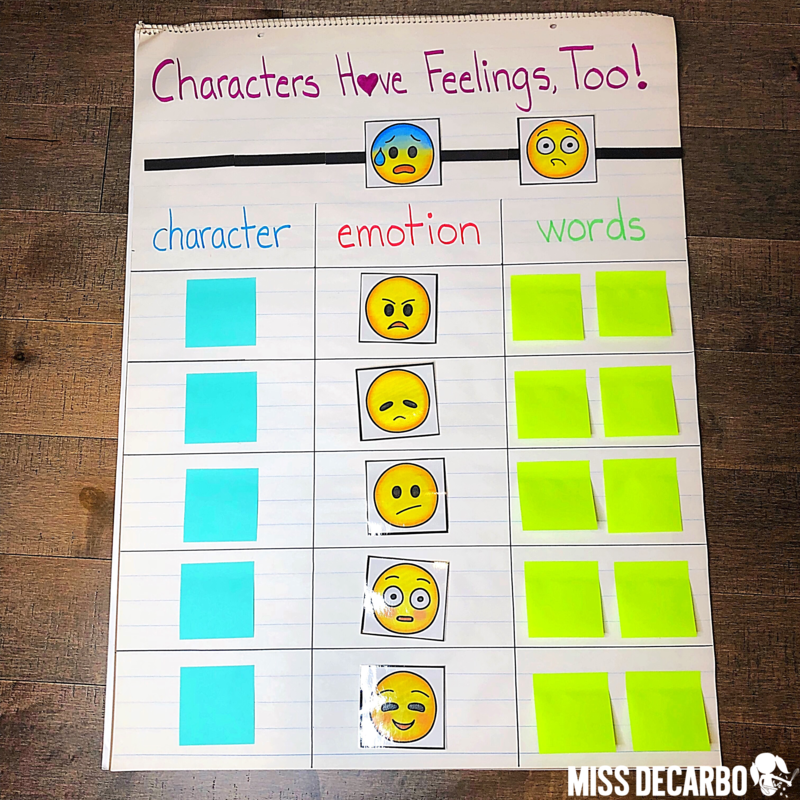 I created a new anchor chart titled, Characters Have Feelings, Too! Our goal was to use what we learned about various emotions in the chart above and transfer this knowledge to text. One of our Common Core Standards in first grade is to identify words or phrases that suggest feeling or elicit emotion. I decided to not only make this chart reusable but highly interactive, too! Below is a photograph of what this interactive anchor chart looks like prior to the lesson. 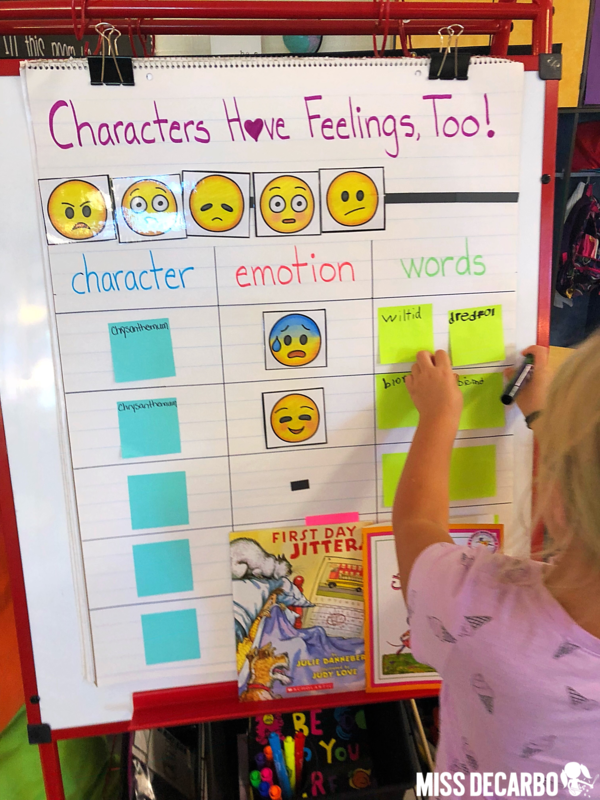 Before I used and created the anchor chart with the students, I prepped the chart by making a table with three columns: character, emotion, and words. Across the top, I attached a magnetic sticker strip and laminated emoji clip art with magnets on the back. (You can find the emoji clip art I used for this chart here. You could also draw your own, use photographs of your students, or have the students draw you emoji faces!) I purposefully did NOT use a marker on any of the columns. I decided to use sticky notes for everything so that I could reuse this chart over and over again. 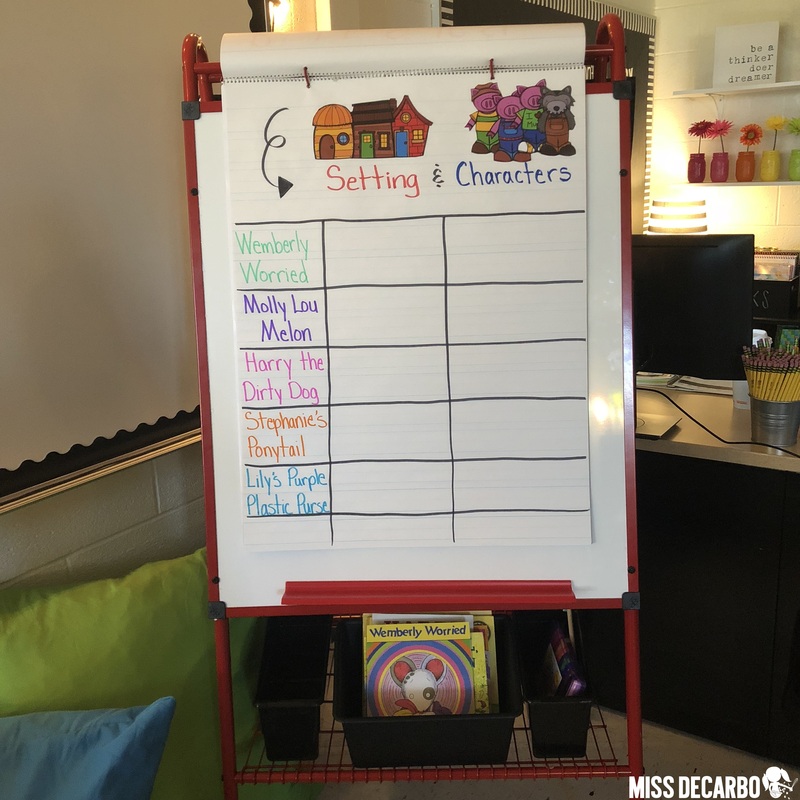 To use the anchor chart, have your students help you draw or write the name of the character in the first column. Then, students will identify the emotion the character was feeling by choosing a magnet and attaching it to the second column. 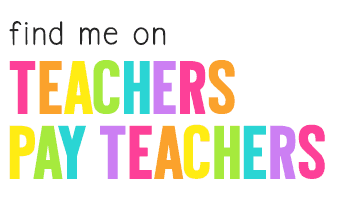 (Teacher Truth: I went back and forth between deciding whether to add emotion words to the clipart images on my chart. On one hand, I want my students to see and read the vocabulary words attached to each emotion. On the other hand, by NOT including the wording, the rigor is raised because the students need to think of the word that best describes the emotion, and is open to identifying and using different synonyms for each emotion and emoji. I love the angle I decided to take the chart in, however, you may want to add vocabulary words according to your students’ needs.) Finally, we worked together to go back into the text and identify the words or phrases that proved the characters’ emotion. Your students can utilize this same procedure and routine for each read aloud. 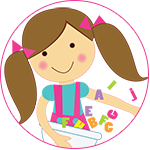 This gives them plenty of practice in identifying the character, emotion, and words/phrases with you and with their whole class. In the lesson plan that I created for my anchor chart course, I chose read-aloud books that each focused on a different character emotion. You can use whatever books you want to use with this anchor chart, but in case you are interested, below are the five pictures books that I chose for my lessons. I LOVED creating these anchor charts for my Advancement Courses Anchor Chart Class and I’m having a blast using them with my students! Prior to the course, I might have simply listed the characters ahead of time and scripted the emotion and words as we discussed the texts at the carpet. However, after everything I learned through the course, I truly see the power and effectiveness of an anchor chart that is student-driven, student-created, and student-led. 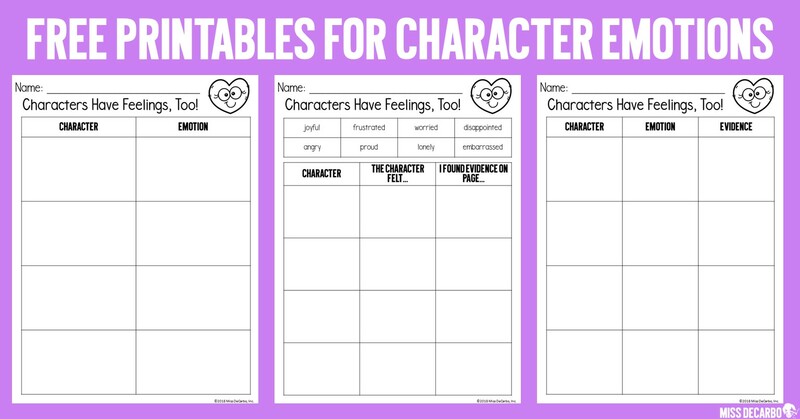 My students now OWN character emotions and are ready to start tackling character traits in our future lessons! Take photographs of your whole-group anchor charts and print them out. Add them to a mini 3-ring binder for students to refer back to while they are working at the small group table or independently. Print the photographs of your whole-group anchor charts onto 8.5 x 11-inch paper. Hole-punch the paper and have students add these anchor chart printables to their writing folders, math folders, reading folders, etc. Send the anchor chart photographs home with students to share the learning with families. 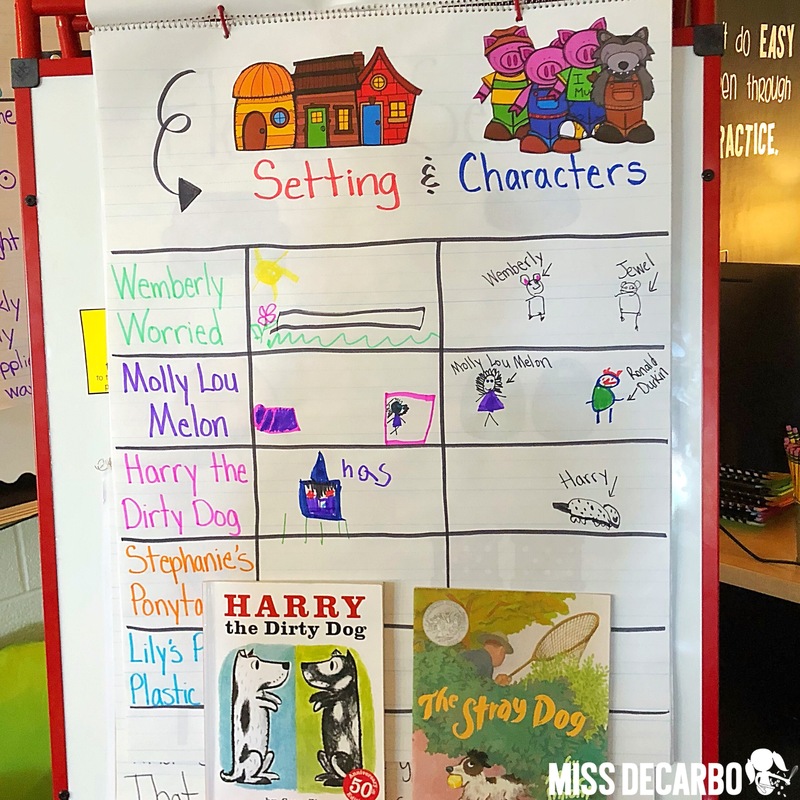 If you use a digital app such as Class Dojo or have a Facebook, Twitter, or Instagram account for your class, snap a picture of your weekly anchor charts to share on the page. 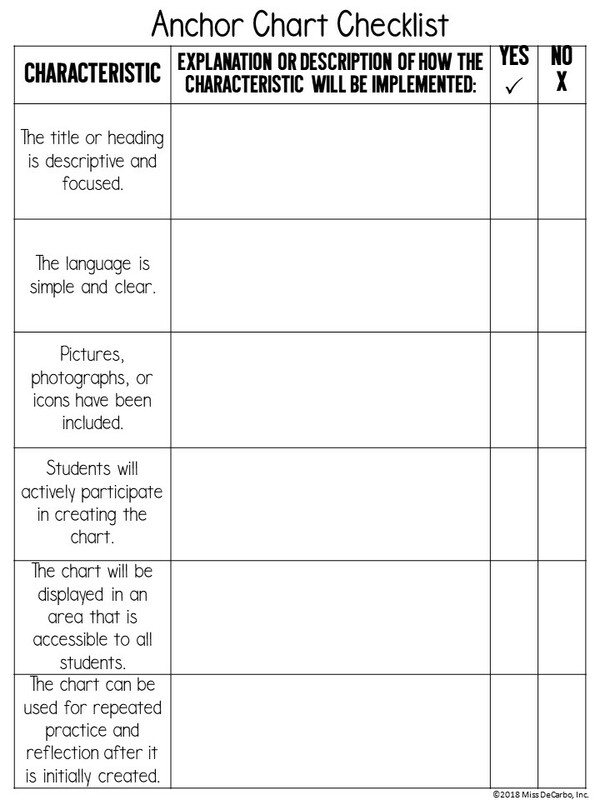 This will help families understand the content students are learning and allow students to chat about the charts with those at home. 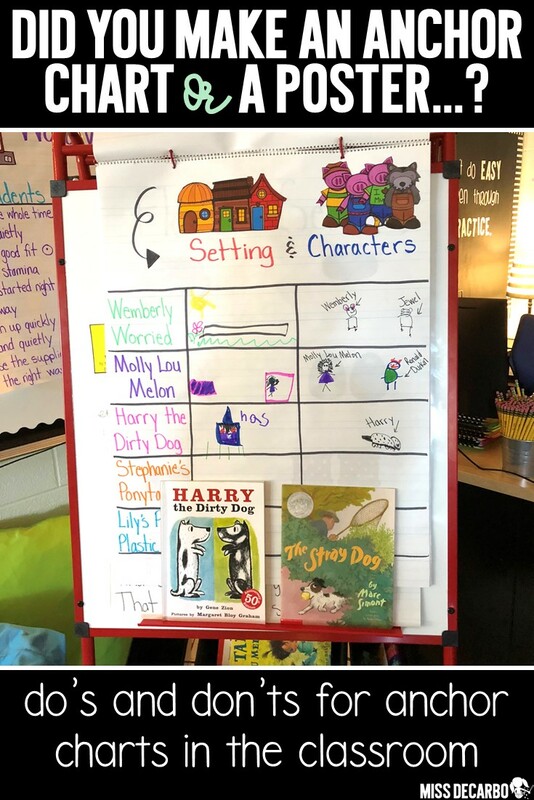 It’s important to bring what students are learning in their whole-group lessons to the small group table by taking some time to focus on the skill, strategy, or concept that you are introducing or reviewing with the class anchor chart. One way that I like to do this is through graphic organizers that mirror the anchor charts we use with our whole-group reading lessons. If possible, differentiate these graphic organizers so that students leave the small group table with essentially a chart that is geared to his or her level of learning that the student can refer to independently or in the future. Below are photographs of three differentiated charts that I created to align to the Character Emotion anchor chart I shared above. For my first group, students will identify the character and the character’s emotion through pictures or words. My second group will identify the character, write an emotion the character felt using a word bank, and write what page number he or she found evidence of the emotion on. This is a more complex chart than the first one. For my highest reading group, I’ve left the columns empty and offered students the freedom to write or draw to express their understanding. Instead of writing the page number for the evidence, students will identify the specific words or phrases they used to figure out how the character was feeling. By not including a page number, I am encouraging students to use interesting vocabulary words when they identify the character’s emotions. 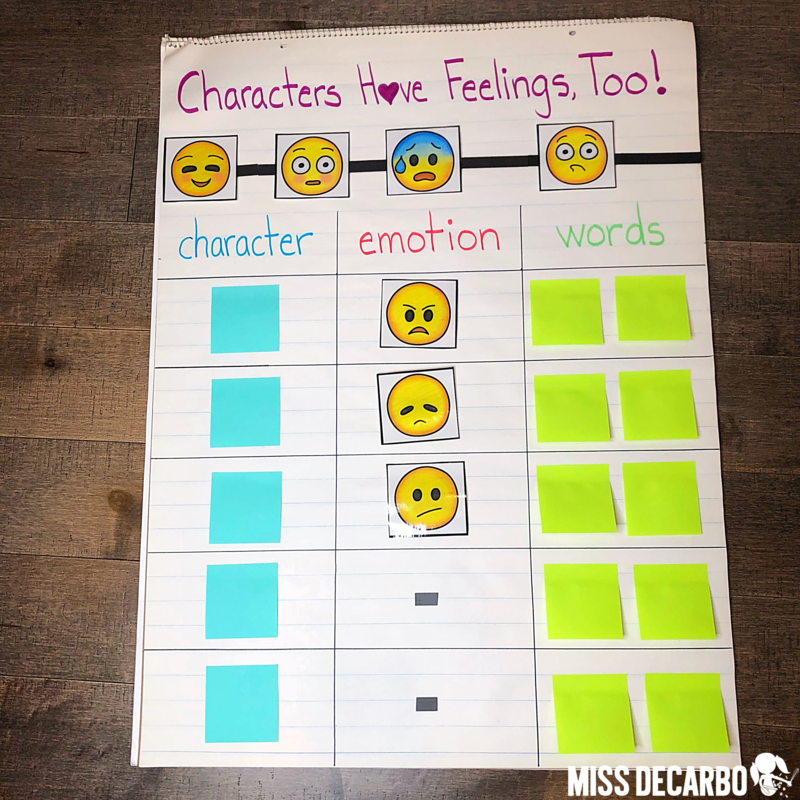 The three supplemental charts for the Character Emotion anchor chart that are shown above are included as part of the downloadable anchor chart freebie gift for signing up for my email list. By signing up for this free bonus gift, you agree to be added to my email list. You’ll receive the latest news, updates, promotions, blog posts, exclusive freebies, and more! If you have done so yet, click below to grab your freebies! I created an anchor chart that includes the same key vocabulary, pictures, and set up as the whole-group anchor chart above. I added kid-friendly language to the printable that mirrors the language and definitions we added to the chart above (after the photo was taken). Now, my students not only have their own personal anchor charts that they can refer back to, but they have their own graphic organizer that they can complete using the books we read either at the small group table or independently during their Read to Self time. This is an excellent way to scaffold student understanding and gradually release independence to practice the skill that you just taught in a whole-group setting. digital ways to make anchor charts in the classroom! …and so, so much MORE! 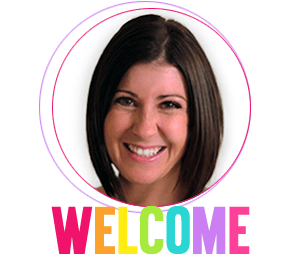 I hope this blog post was helpful for you and I hope it gave you a taste of the great course offerings that Advancement Courses has for you as a busy teacher looking for practical and applicable content for the classroom! I thoroughly enjoyed my experience with the course and LOVED the flexibility I was given to complete the assignments and modules. If you are in need of credits for your licensure renewal, it is a program I highly recommend! 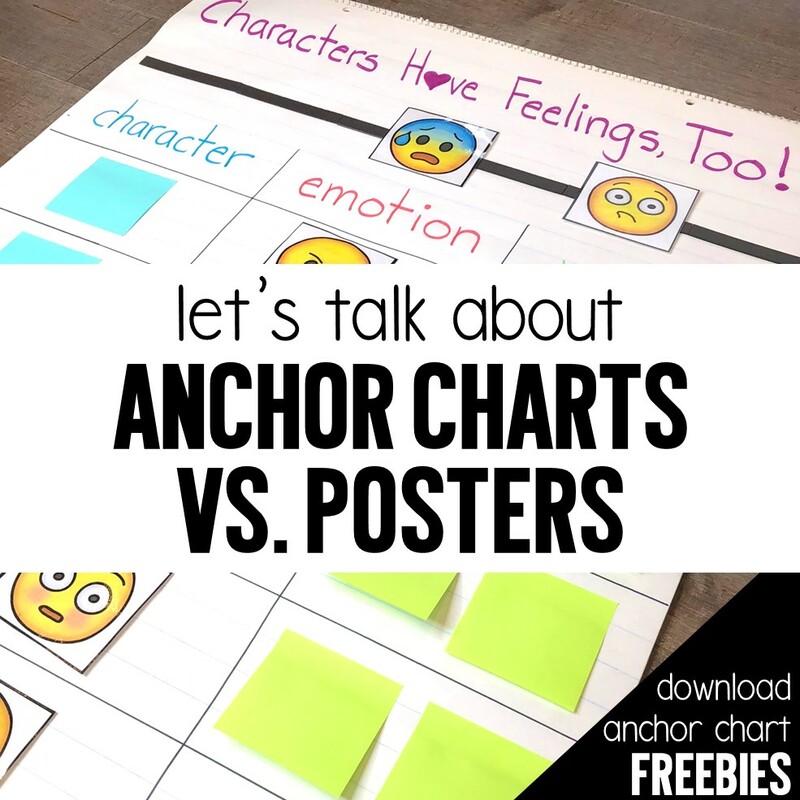 I don’t want you to forget to grab your anchor chart freebies that I shared throughout this blog post! 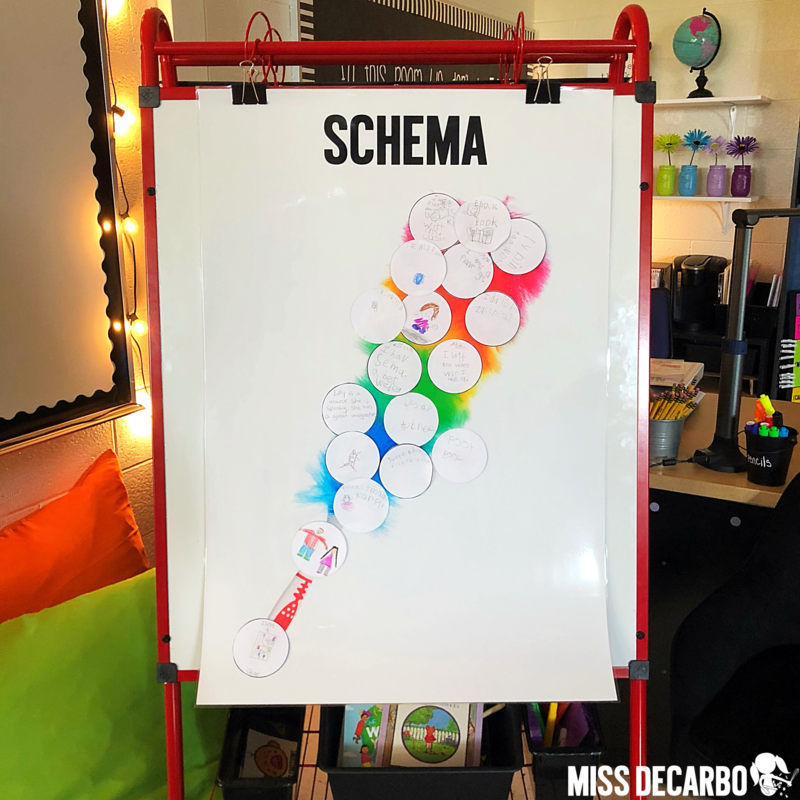 Simply join my email list for the latest Miss DeCarbo promotions, updates, and news and I will email the downloadable anchor chart freebies directly to your inbox! Click the image below. Thank you so much for chatting about all things anchor charts today! Feel free to share this post with your colleagues by using one or more of the images below to PIN to your Pinterest boards! Martinelli, M., & Mraz, K. (2012). Smarter charts, K-2: Optimizing an instructional staple to create independent readers and writers. Portsmouth, NH: Heinemann.